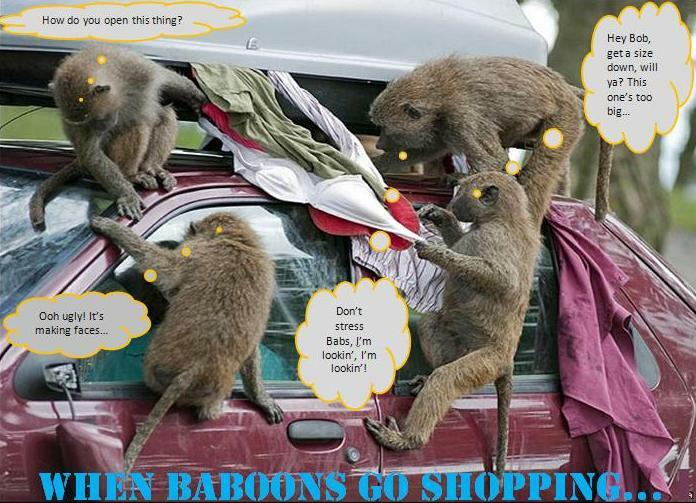 Human-baboon clashes have achieved international notoriety in South Africa. However, all wildlife is unpredictable but here we are cautious of animals that have lost their natural fear of humans. It’s a sad fact of modern life that all over the world wherever nature and civilization collide, the loser is usually nature. This is witnessed by the huge number of species facing extinction as the habitats needed for their survival collapse in the path of development. This is an incident that happened a few years ago, somewhere in the Cape. The original image was not credited, if anyone has any info about this picture’s origins, please let me know.